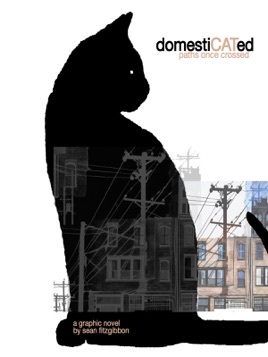 A roving black cat guides readers of the graphic novel DomestiCATed: Paths Once Crossed through the nefarious underbelly of domestic human existence as told through three dark short stories. This is great (and I'm not a cat person). I really enjoyed this book. Very dark but very beautiful. Worth checking out. Dark and creepy! Loved it!